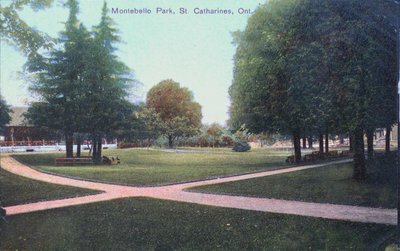 A postcard of Montebello Park, St. Catharines, Ontario. c1905. W.G. MacFarlane, Publisher, Toronto .